Help! What Am I Going to Feed All These Campers? Camping means spending time with family and friends, relaxing, recharging, and de-stressing. So, what happens when you invite all your friends and family to go camping with you and they all say yes? How and what are you going to feed all these people!?! Here are some suggestions and recipes to help you plan easy, delicious meals that everyone will love. For starters, there are some general rules to follow which may help alleviate some stress when it comes to feeding a large group. Prepare as much in advance as possible. Sides such as coleslaw and soup are actually better the day AFTER you make them. Sitting in the fridge overnight allows the flavors to combine and become richer. Preparing dishes like this ahead of time frees up time for meals that require immediate attention such as barbecue. Things like kebabs, foil packet meals, etc. can all be prepared ahead of time as well. Use your outdoor kitchen in addition to your indoor one. 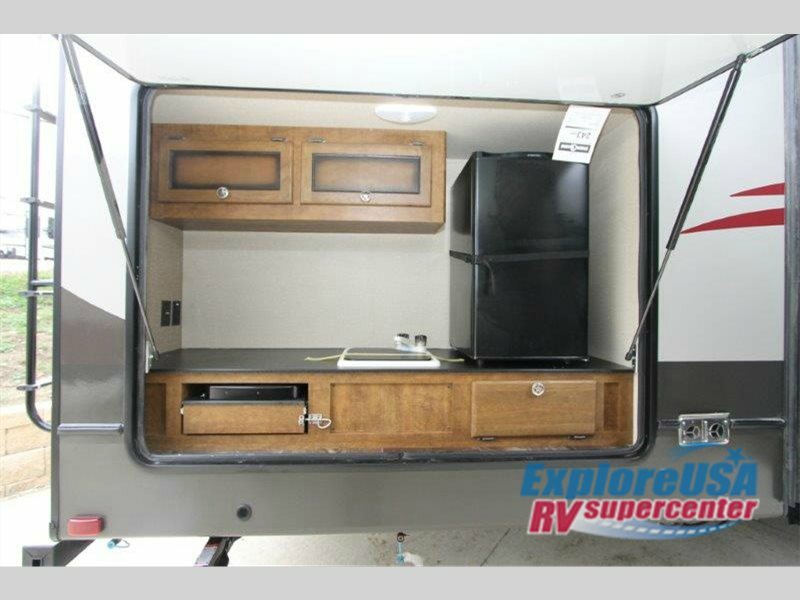 If you are lucky enough to have a Fifth Wheel or Travel Trailer equipped with an Outdoor Kitchen, use it! Stocking drinks in the refrigerator outside will free up room in your main fridge and will prevent people from tramping through your kitchen and getting in the way. 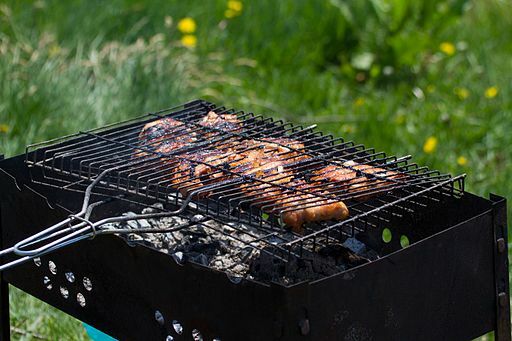 You can recruit someone to grill outside while you are using the oven, stove or microwave inside. Use veggies you don’t have to chop. There are many small versions of large vegetables in the market these days. Less chopping means more time for other things. Miniature sweet peppers, new potatoes, baby carrots, frozen veggie mixes are a few examples. Let the kids help. Kids love to cook. Small tasks that you don’t have time for can be delegated to little hands as long as always keeping safety in mind, of course. In a large mixing bowl, toss together all ingredients except cooking spray. Stir until combined. Spray one side of each of two large pieces of foil. Divide mixture evenly among foil and fold to form well-sealed pouches. Place pouches on a small rimmed baking sheet. Place pouches in oven and bake until rice and proteins are fully cooked, 30-35 minutes. To check for doneness, carefully open one pouch, examine proteins to make sure they are firm and opaque, and test a few grains of rice from center of pouch. If necessary, reseal pouch and return to oven. Poke potatoes with the tines of a fork and chop potatoes in half. Toss potatoes, peppers, onion, garlic, rosemary, salt and pepper with olive oil to coat. Grill on medium heat for 15-20 minutes. Using a grilling pan helps keep all the veggies together. Have any questions about campground cooking in your RV? 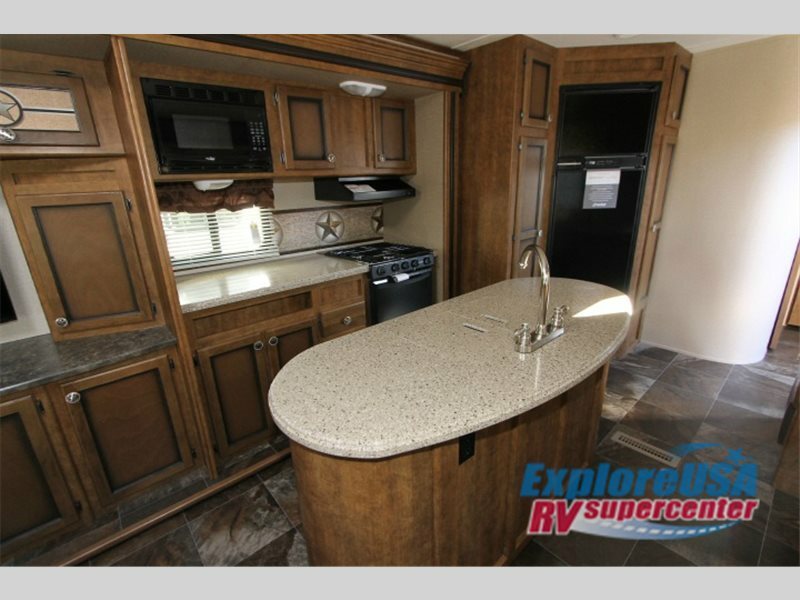 Looking for an RV with an Outdoor Kitchen? Contact Us at ExploreUSA RV. We’d love to help make your get-together even more fun and stress free!